A high-necked, Edwardian-inspired blouse for the romantic in all of us. Choose to make the narrow ruffles and appear dainty and demure, or opt for an unequivocally flamboyant and fun look with the bold wide ruffles. 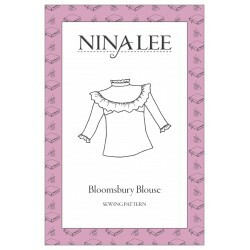 Ruffles have been dominating the catwalk in recent seasons but Bloomsbury translates a trend that can sometimes be a little OTT into a garment easy to wear and style. 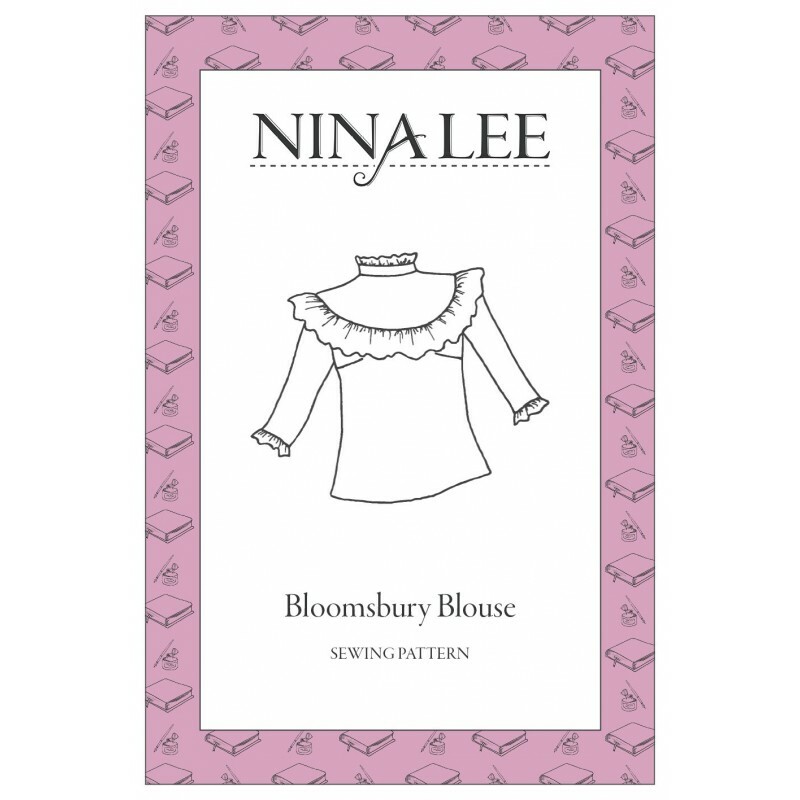 Well suited to lightweight cottons, if you’re feeling adventurous Bloomsbury could also be made in a drapey fabric or even velvet and lace for a touch of high Victoriana. 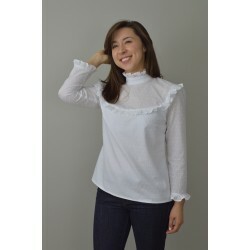 The blouse features a high collar, a yoked bodice with two ruffle options, button-back fastening, bracelet-length sleeves and the option to add ruffles to the collar and/or sleeves. 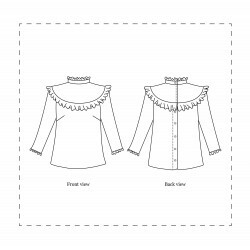 Whilst care is required when sewing the yoke and collar curves, this pattern should be suitable for an ambitious beginner who isn’t afraid of taking their sewing to the next stage. 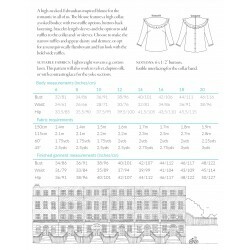 Fabric suggestions: Lightweight wovens e.g. cotton lawn. This pattern will also work in velvet, dupion silk, or with contrasting lace for the yoke sections.